World’s leading Formula 1 and Formula 2 drivers have gathered in Baku to participate in breathtaking races in the streets of the Azerbaijani capital this weekend. Some of them share their impressions from the last-year race and expectations from the race of 2018. “Not only track in Baku is great, but the city itself is also interesting,” said Lance Stroll, Canadian F1 driver from the Williams team, Chempionat reports. 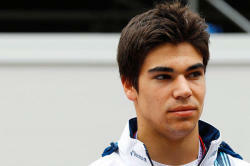 Last year, Stroll took third place, outdone only by Red Bull Racing’s Daniel Ricciardo and Mercedes’ Valtteri Bottas. “I have great memories of Baku, because here I won my first podium in Formula 1, and this can’t be forgotten,” the driver noted. He added that until last year he had not been to Baku, and everything was new for him. “The track is exciting. Since this is a street track, there are walls around, and there is no room for error,” said the Canadian racer. Another driver, F2 racer of the Russian Time team and test driver of Formula 1 Artem Markelov mentioned that one cannot meet such a track as in Baku in other countries, “Moscow-Baku” reports. “I have been here since the very first race, I come to participate for the third time. Everything is as well organized as it was two years ago. Organizers of the competition know how to quickly and efficiently organize the track,” he said. The racer noted that the Baku track differs from others by its atmosphere and the speed of the turns. “In the Old Town, the turns are quite narrow and peculiar. You will not find them in other countries, but we have already adapted to them, we know what to expect from this track,” Markelov added. 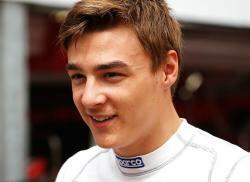 Last year, the Russian driver ranked 4th in Formula 2 Feature Race and 5th in the Sprint Race. 2018 Formula 1 Azerbaijan Grand Prix will be held in Baku on April 27-29. The previous Formula 1 races, held in the city last two years, were highly appreciated by worldwide Formula 1 fans. The race in 2017 was rated as the race with the most exciting and most unexpected moments of the season in the world by fans and media representatives in surveys conducted around the world's leading media.